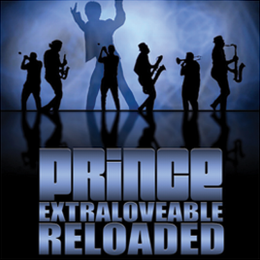 Prince has just released “Extraloveable Reloaded” for download on his 3rd Eye Girl website. This is a remake of a song of his from the early ’80s that now includes a signature Hornheads breakdown in the middle. There’s a sample of it on Dr. Funkenberry if you want to check it out, but it doesn’t get to the real funky horn stuff. Prince asked me to do a horn break in the style of my Hornheads composition “Intermission”, which we used to play with Prince on tour. We did this session in Nov. of 2011, which ended up being the start of a very active stretch of recording with Prince that lasted up until he went on his 3rd Eye Girl tour in April of 2013. This recording marked the 20th anniversary of when we first worked with Prince. What an experience it was and still continues to be.